Federal surveyors found an additional 36 million dead trees across California since its last aerial survey in May, bringing the total number of dead trees found in the last six years to over 102 million in the state's drought-stricken forests, the government on Friday. Sixty-two million trees have died in 2016 alone, a 100 percent increase in dead trees across the state from 2015, according to a joint statement by the U.S. Department of Agriculture and the U.S. Forest Service. Millions of additional trees are weakened and expected to die in the coming months and years, officials said. 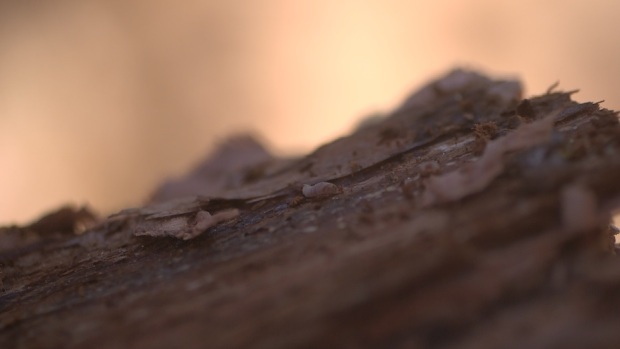 "This is sad for the state," US Forest Service Tree Mortality specialist Stephanie Gomes said on Friday from her base in Vallejo, California. "Forests provide water, electricity and cleaner air for everyone in the state. This impacts everyone in California. She is on a team that has been surveying the dead trees, and they all knew that there would be more to report to the public. Her team discovered that 36 million dead trees in the last five months, and 102 million dead trees have been tracked since 2010. To that end, USDA spokesman Mike Illenberg said Friday in a phone interview from Washington, D.C, that the agency wants to re-classify large wildfires as natural disasters, to be able to draw from an emergency fund of federal money. Currently, the fires are fought with "restoration" money, Illenberg said. USDA Secretary Tom Vilsack and Forest Service officials said finding this money is crucial if California residents don't want to be continually hammered and evacuated by devastating wildfires. This year, California had a record-setting wildfire season, officials said, with the Blue Cut fire in the Inland Empire alone scorching over 30,000 acres and triggering the evacuation of 80,000 people. "These dead and dying trees continue to elevate the risk of wildfire, complicate our efforts to respond safely and effectively to fires when they do occur, and pose a host of threats to life and property across California," Vilsack said in a statement. "We can't break this cycle of diverting funds away from restoration work to fight the immediate threat of the large unpredictable fires caused by the fuel buildups themselves." The majority of the 102 million dead trees are in ten counties in the southern and central Sierra Nevada region. The Forest Service also identified increasing mortality in the northern part of the state, including Siskiyou, Modoc, Plumas and Lassen counties. 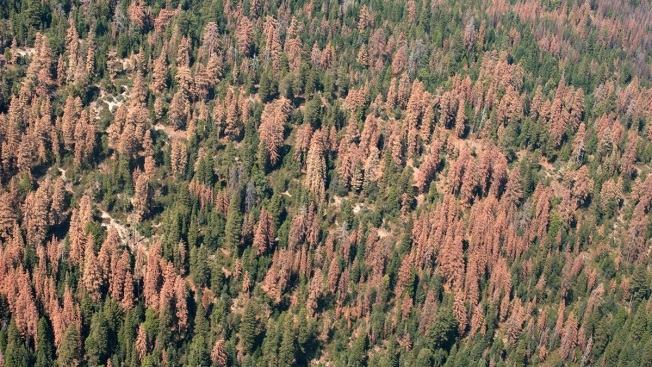 They are dying, officials note, because of five consecutive years of severe drought in California, a dramatic rise in bark beetle infestation and warmer temperatures on the planet. In the last two years, a drought-fueled beetle infestation has claimed hundreds of Mt. Diablo State Park's coulter pines. Joe Rosato Jr. reports. Illenberg said that by 2025, the cost of fire suppression is expected to grow to nearly $1.8 billion. And if nothing changes, he said, the Forest Service will be forced to take an additional $700 million over the next 10 years from all the other programs.